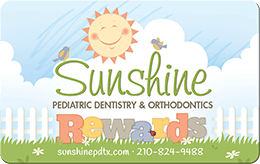 Sunshine Pediatric Dentistry is your home for comprehensive children’s dentistry! We offer preventive services including teeth cleanings, restorative dentistry like BPA-free fillings, as well as orthodontic treatments, such as Invisalign®. We’re here to help your child maintain healthy teeth and gums and keep their smile bright for years to come. During appointments, we make sure to explain any treatment we are doing as well as any diagnoses that we make. We want children to understand how we are helping them stay healthy, and we want parents to be fully informed about their child’s oral health. Getting routine teeth cleanings is an important part of maintaining children’s overall health. It also teaches them healthy habits early on that they can take with them for the rest of their life. We recommend getting cleanings twice a year, just to make sure there are no cavities and that all teeth are developing properly. During a routine exam, we review your child’s patient history and check for any changes in his or her oral health. If we spot any potential dental problems, we will inform you of the treatment options available and our recommendations. We’ll also offer tips about how best to take care of teeth and gums at home. You might already be familiar with fluoride because it’s often found in toothpastes and in cities’ water supplies. For some people, this is enough to maintain healthy teeth, but for some young children, we recommend a concentrated fluoride treatment to protect their teeth from decay. Fluoride treatments also promote remineralization, keeping teeth strong! Dental sealants are a quick, easy way to prevent cavities before they even get a chance to develop. 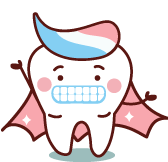 They are a safe, plastic material that we use to fill the pits and grooves of the chewing teeth so food and bacteria slips away rather than settling in. We recommend sealants because we know that it can be difficult for kids to really take care of those problem areas in the back molars. This way, we can make sure bacteria doesn’t get stuck and create cavities, and they can last for many years, too! Sunshine Pediatric Dentistry provides BPA-free sealants. We do everything we can to help your child avoid exposure to this known toxin that has been shown to cause hormonal issues in children. If your child has a cavity, it’s important to treat it before it gets worse and causes pain or an abscess. We treat cavities by removing any decay within the tooth and then providing a composite, or tooth-colored, filling. These white fillings perfectly match the color and appearance of natural teeth, so no one will notice there’s a filling there! Just like with our dental sealants, we use only BPA-free materials in our fillings. You won’t have to worry about your child being exposed to any potentially harmful toxins if he or she requires a tooth filling. Sometimes tooth decay can become too big of a problem for a filling to fix. In those cases, we might recommend that your child get a white crown. You can think of dental crowns like little caps that we place on the top of a tooth to preserve it. They are placed in one visit, and when placed on a baby tooth can last until the tooth falls out! Both a pulpotomy and a pulpectomy involve removing diseased pulp tissue from within a tooth. We may recommend this procedure if your child has a very serious cavity that is causing painful toothaches or creating an infection. The treatment might sound a little intimidating at first, but we want to reassure you that we always perform our dental procedures with a gentle touch. We also have sedation options available so that your child doesn’t have to experience discomfort. A simple baby root canal is always more preferable to dealing with the pain of an infected tooth, and it can mean the difference between saving or losing a tooth! To learn more, visit our Baby Root Canals page! The only time we will suggest a tooth extraction is if we’ve considered every other option for saving a tooth. Sometimes, a tooth has so much decay that we need to remove it before it causes further damage to your child’s oral health. An extraction is a common procedure, and we will walk you through the entire process as well as the post-treatment care. We also offer sedation dentistry to help set your child at ease throughout the treatment. Healthy teeth for happy smiles! Does your child play sports? If so, we highly recommend that he or she wears a mouthguard. Wearing one can protect your kid from tooth fractures, gum injuries, and more. Our practice can create a custom mouthguard that fits snugly and comfortably over your child’s upper teeth and protects them while they get out there and play. Primary teeth, commonly known as baby teeth, actually serve the very important purpose of saving the space for where permanent teeth come in. That’s why we always want to check and make sure that baby teeth are developing properly. If your child loses a baby tooth early, whether because it was accidentally knocked out or because it was removed for oral health reasons, a space maintainer might be necessary. Space maintainers are small metal or plastic appliances that we custom make to fit in your child’s mouth. They are used to make sure that teeth are kept in their proper positions and don’t shift into open spaces, resulting in misalignment. Having a space maintainer now can mean avoiding serious orthodontic treatments in the future! We know how important it is for children to have straight teeth so they can be confident in their smiles when with their friends or at school. Invisalign® has proved to be a great option for those who want to correct any crooked or misaligned teeth without getting a more noticeable treatment like braces. Invisalign uses a series of custom-made, comfortable aligners that are made of clear plastic. The best part is that they’re nearly invisible, so many people won’t even notice that your child is in the middle of an orthodontic treatment! There are no brackets or wires, making for a virtually undetectable teeth-straightening method. The trays can be taken off for short periods of time, so kids can still eat all their favorite foods. Having removable trays also means that it’s easier for kids to brush and floss like normal. The smooth plastic aligners are easier on the cheeks and gums. Even with the most complex of cases, braces can correct teeth to make a beautiful, straight smile! Braces fix crooked, overlapping, and crowded teeth, as well as malocclusion (or a “a bad bite”). We have colorful, clear, and metal braces so your child can pick the option they feel most comfortable with. The sooner orthodontic conditions are corrected, the better. Dental issues are often easier to fix when the patient is at a younger age. In fact, the American Association of Orthodontics recommends that all children receive an orthodontic screening by age seven to determine if any problems need to be treated now, or in the future. Comprehensive services for all your child’s needs. From our years of experience working with children, we understand what kids of different age groups need to maintain their oral health. We have outlined the routine services and treatments that you can expect at your child’s dental visit depending on how old he or she is. If you have any questions at all, please don’t hesitate to contact us.